Acura announces NSX. Orders this summer. Somewhere around $150,000. North of 550 HP. 9 spd DCT with rear wheel biased sport-hybrid SH-AWD. not sure whats lol about this? Price in line with R8 V10 and 911turbo. It's Autounion. If Audi slapped four rings on this and called it the new R8 we'd have about 9 pages extolling how great it was. I think it looks really good. Cohesive design, usable interior, specs in line with what you'd want for a modern jr. supercar. Interesting to see how the road tests come out. You know there's a 2015 detroit auto show thread, right? I think it looks better in real world pics. I like it. While this forum loves to dis Japanese auto manufacturers and their pricing, this is a bargain compared to the LFA pricing which was just about double the price (I'm aware people hated that car and what it costs). I'm assuming these will limited and will perform pretty well. Question... If this car performs near/better R8 numbers and that competition will everyone here still think it's crap because Honda makes it? I mean people do that about the GT-R right now. When the Nismo version came out a $150k people bout lost their minds but are ok with paying near $200k for an R8 V10. All times are GMT. The time now is 06:16:05 PM. 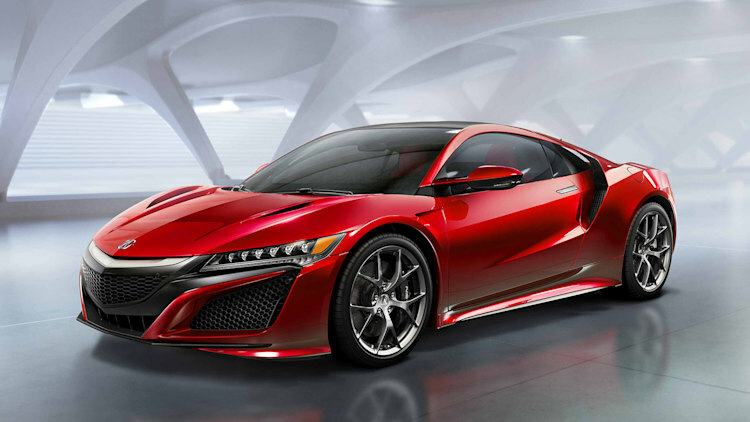 Discussing Acura NSX unveiled, $150k starting price lol in the Off Topic Forum - Place to discuss this and that. Note: We also have "request to join" forums: Guns and Fitness.